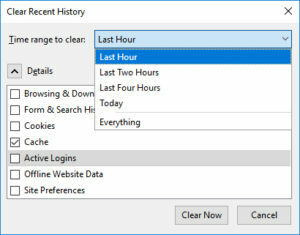 Clear your Cache in Chrome - Blackrock Networks, Inc. There was a time when clearing your cache seemed as simply as refreshing your screen. 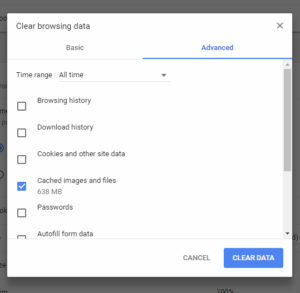 Now that more information is being stored so that sites can load quickly it requires a few more steps to clear your cache. On the plus side there is still a keyboard shortcut to help you access this menu. 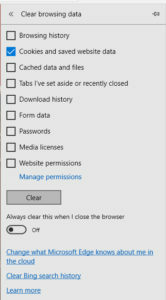 After you have cleared your cache go back to the web page you were reviewing and press F5 to refresh and you should see the most recent version of the site. The keyboard shortcut will work in Microsoft Edge/ Internet Explorer and Firefox as well. The screens look like below.